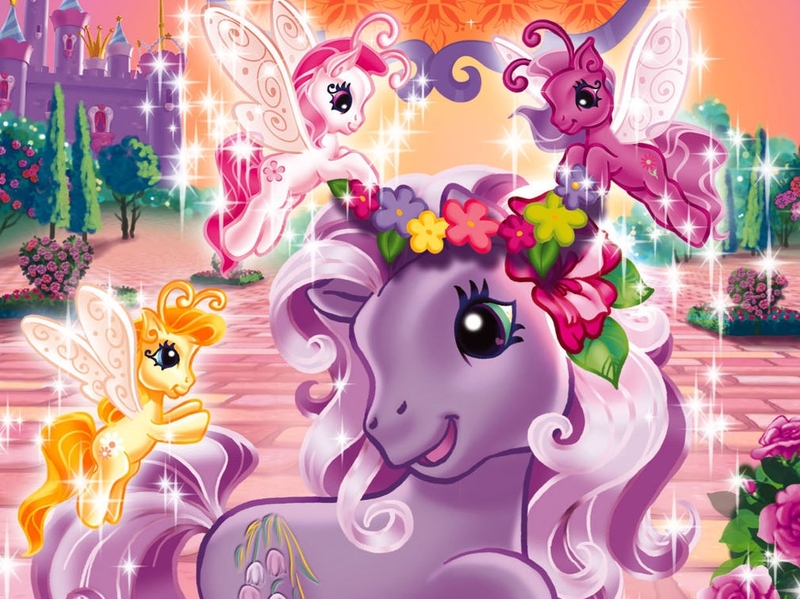 The easiest way to say it is just to say it: There are grown men out there who devote themselves to the rainbow-unicorn-sparkly-pastel fantasy world of the children’s TV show “My Little Pony.” And, more appallingly, it’s not done ironically – they are proud of it. [Hub Network President Margaret] Loesch, noting that the show remains targeted at young girls and their parents, said the network’s been reaching out to the bronies with subtle hat tips in marketing and promotions. It’s been a measured approach, though. But should Hollywood really be enabling this phenomenon? Hell no. It’s a freaking embarrassment. All the while, as these pathetic sissies giggle like school girls over magic unicorns that spray rainbows from their horns, real men – and women – who have put aside the temptation to retreat into a frivolous fantasy world are tromping through the wilds of Afghanistan. Such young adults, some younger (in years) than the “bronies,” are protecting all of us – including these pathetic weirdos. It makes me want to wretch. Yeah, some will say it’s unfair to compare a bunch of harmless fem-boys who stopped maturing at age seven with the heroic men and women facing death or dismemberment on all our behalves every day. People who say that are wrong. These perma-virgins ought to be ashamed of themselves, but if they had the capacity for shame, this disgusting obsession would be a secret they guard almost as closely as a Harvard faculty member might guard the fact that he’s a registered Republican. As sickening as it is, we can’t just ban grown men from acting like idiots because we disapprove of their lifestyle choices – after all, we aren’t progressives. It’s still a free country – coincidentally due entirely to the efforts of men and women who put aside childish things to contribute to society instead of feeding at the trough and then sitting on their expansive backsides as they eagerly clap like seals at the antics of colorful cartoon steeds. If these losers want to waste their lives lingering in a childhood fugue state, Hollywood has every right to serve them up more of the same cultural slop and pocket the cash proceeds. But it shouldn’t. Hollywood is famously nonjudgmental about anything that happens to undercut the foundations of American society, gleefully mocking traditional morality, conservatism, and now what the LA Times calls “tired stereotypes of what boys should or shouldn’t like.” Trashing positive values is standard operating procedure in Tinseltown. Fandom, even potentially nerdy fandom, need not be destructive. For example, the original “Star Trek” had real merit. The character of Captain Kirk provided an example of true manhood – note that the attributes commonly associated with ‘manhood’ are not limited by mere gender, as heroes like Sergeant Leigh Ann Hester proved – even within the concept of science fiction. Watching James T. Kirk teaches young males key life lessons – that violence is an important option for defeating evil, that individual dignity is worth fighting for, and that scoring with green alien chicks is awesome. In contrast, “My Little Pony” inspires them to adopt brony names like Starfire Cuddlecakes and glue fake unicorn horns to their foreheads. Then go out in public. A story like “Lord of the Rings” may be a bit nerdy – I mean, it has elves – but the lessons there, about the need to overcome one’s fears and to sacrifice one’s self if need be to defend your people, are as vital as ever. Hollywood, do you really need to enable the creepy immaturity of these geebos? No. It’s time to stop the insanity.